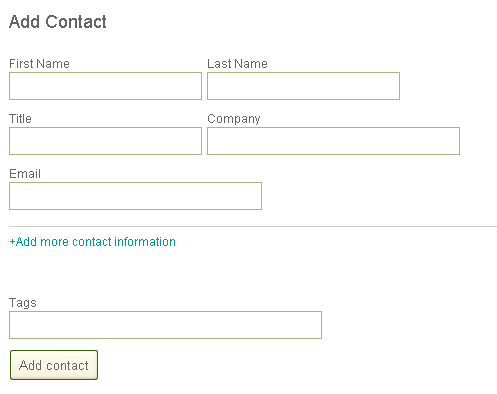 Simple Customer - Manage your contacts and clients online. 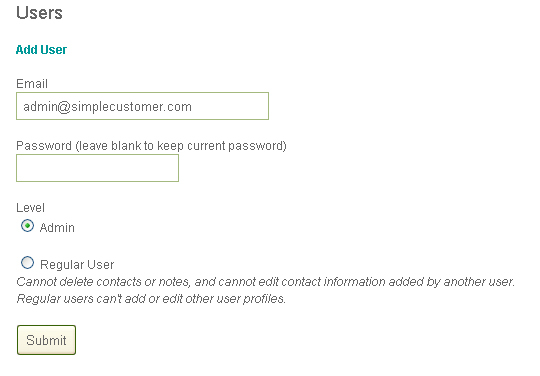 Simple Customer was developed for anyone who needs a simple and easy way to keep track of their clients, customers and contacts. 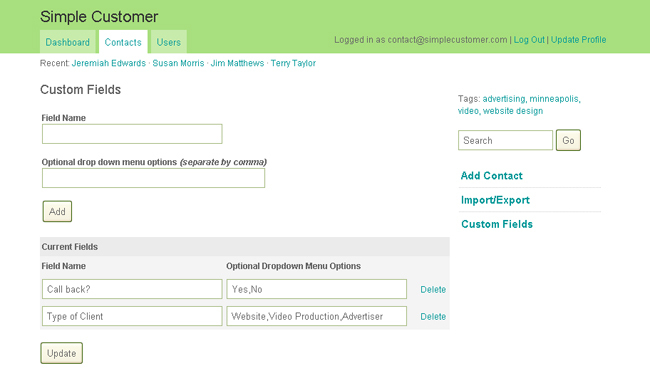 Developed with PHP/mysql, Simple Customer is light-weight, sleek and professional - and free! 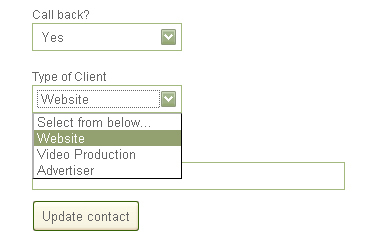 Example of custom fields when editing/adding a new contact.